When we hear the word Bugatti today the sharp image of the Veyron supercar instantly appears. While the Bugatti Veyron is an exquisite example of what a supercar should be, it is important to remember the classic members of the family. Classic Bugatti cars like the Type 35 and 51 Grand Prix Racers paved the way to the successes of today. 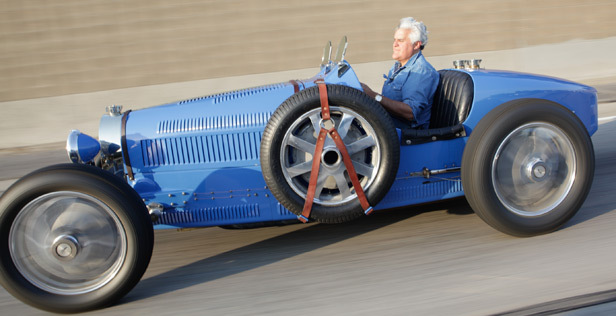 Potentially embarrassing admission: It is impossible for me to picture a classic Bugatti without the image of Jay Leno tooling around in one. Racing driver and Bugatti enthusiast Edmund Burgess knows how to nurse a wound: with a pint of beer or two. 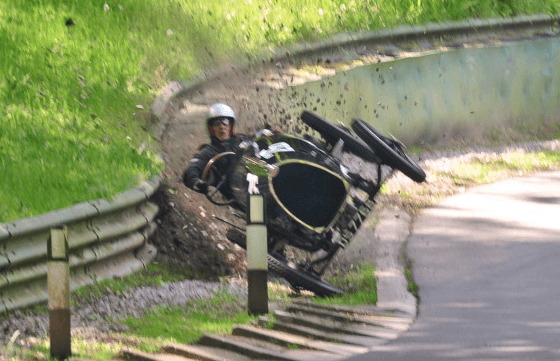 Burgess lost control of his classic Bugatti while competing in the Prescott Speed Hill Climb in Gloucestershire, crashing it as he rounded a corner. Like any unhappy chap, he simply strolled from the scene of the crash to the nearest pub! I daresay I like his style–he seems to play the part of a debonair 007 who prefers Bugatti to Aston Martin. Ralph Lauren’s classic Bugatti 57SC Atlantic recently took ‘Best of Show’ at this year’s Concorso d’Eleganza Villa d’Este. The value of the rare 1938 Bugatti is estimated at around $40 million dollars and is one of just three examples in existence. Ralph Lauren’s Bugatti 57SC Atlantic has been displayed at shows and events around the world. 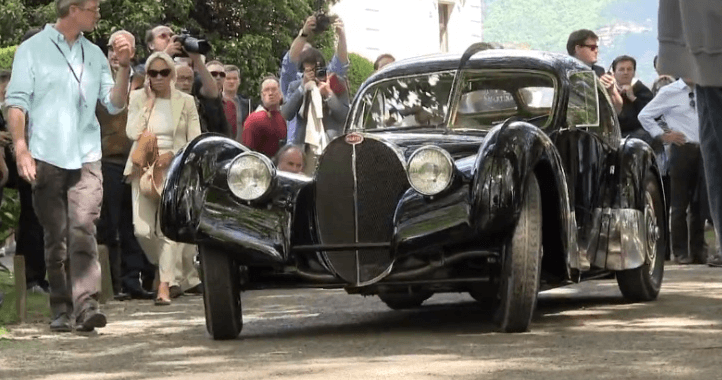 The extremely rare and equally expensive Bugatti has won ‘Best of Show’ at this year’s Concorso d’Eleganza Villa d’Este.